What Car? live Q&A special | What Car? What Car? is hosting a special live Q&A on Tuesday, August 17, between 1-2pm. 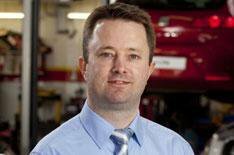 Joining us for the live Q&A on whatcar.com will be Chris Mason, director of Motor Codes. The voluntary Motor Code for Service and Repair was set up in response to wide-ranging criticism of standards in the service and repair industry. So far, more than 6000 garages have joined the scheme, which aims to assure quality service and offer conciliation and legally-binding arbitration in the event of disputes. So, if you have any questions about the servicing or repair industry, Chris is the man to grill. Join us live from 1pm Tuesday, August 17.